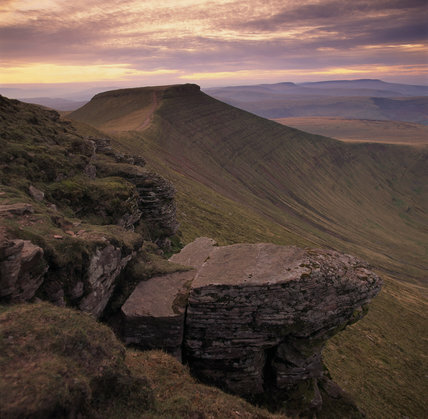 View towards Corn Du from Pen Y Fan at sunset. 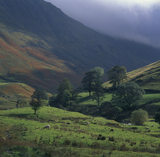 The foreground anvil-shaped rock outcrop epitomises the geology of the area. Mostly N.T. but not the distant Black Mountains.